Early in my career, I was like most educated, motivated people, I was looking for the answers to growing my business, to improving my relationships with my wife and my kids, and improving my health and my finances. I read books, I went to dozens of seminars and workshops, and I was mentored and coached by some wildly successful people. For some reason, I just wasn’t growing as fast as I expected. I felt that there was some secret that all these gurus were holding back, that if I learned it, it would catapult my personal life and my career. I understand why the concept of the “next great idea” is so appealing as much as anyone: we live in an instant gratification, microwavable world these days. People want results now. So they’re always looking for the trick or the tip that’s going to make everything happen for them. If you want the secret to success, here it is: the people who are truly wealthy, who have true health, and are wildly successful in their businesses got where they are through consistency, discipline, execution, and, most importantly, implementation. Running a successful dental practice is not that complicated. If we made a list of all the activities that are required to execute day to day operations in the dental office, from one practice to the next the list would be basically the same; answer phones, greet patients, review and process incoming paperwork, submit insurance, post payments, print and review reports from the computer system, etc. On the clinical side it's the same, sterilize instruments, set-up operatories for the specific procedures, take X-rays, review health histories, etc. Even for the dentist and hygienist, life is pretty predictable; there are only about 20-25 procedures that produce most of the production/collections revenue in the practice; fillings, crowns, seats & adjustments, cleanings, SRP, fluoride, sealants, etc. Doctors and their teams are always going to practice management seminars looking for "the next new thing". Sometimes they are disappointed and respond with "you didn't teach me anything new". The reason is there is nothing new. The basics are called the basics because they are the basics. It's about implementation of the basics. There are certain tactics, protocols, and systems that have already been proven out. If you implement the same systems and protocols in your practice, you will achieve the same type a result. You don’t have to figure out your own system. The simple truth is your practice isn't getting the result because you're not implementing what you learned. You can keep writing down the notes and going to the seminars and workshops... but if you don’t come home and put those ideas into practice, you don’t get results. So, how can you take that secret and turn it into success? Where are you trying to take the practice? Do you want more new internal marketing referral patients? Do you want to improve Hygiene Profitability? Do you want to improve treatment acceptance? Without that picture, all you’ve got is a long to-do list and probably a whole lot of unnecessary work ahead of you. Make the picture as vivid as possible; clarity makes decision making easy. Your picture helps you to set your priorities, it dictates how you use your time and energy, it dictates how you invest your money, and it dictates your to-do list. You don’t have an unlimited amount of time so get clear on where you want to go and what you’re trying to accomplish. Ask yourself what specific items you want to focus on for the next 90-120 days. Chunk your calendar down into 3-month segments (we have a program called the 100-Day Challenge - not a coincidence). Many people have a hard time seeing too far into the future. Corporations Report results on a quarterly basis. They meet several times during the quarter to track their progress, but most initiatives are scheduled for 90-day windows. Do the same in your office. Ask yourself what specific items you want to focus on for the next 90-120 days. 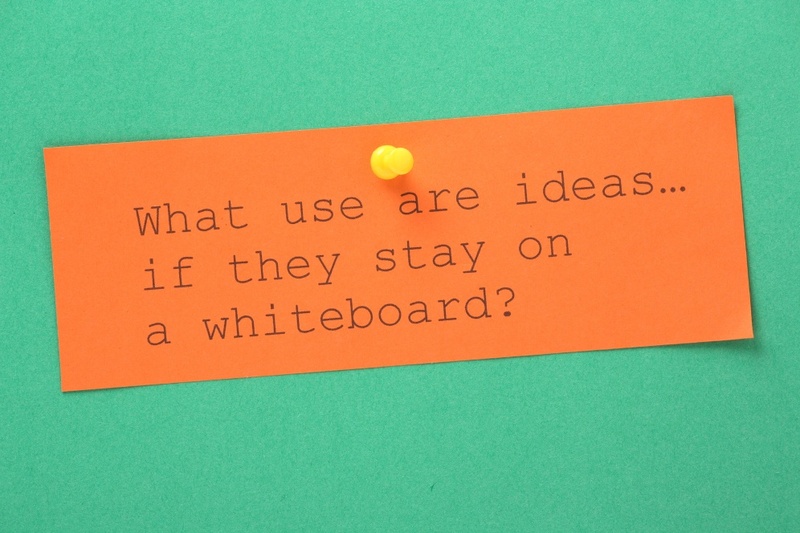 Now, lay out your projects on an “Action Board”. This is a tool we’ve developed to draft out your plan, assign leaders to each of the projects (“Champions”) and to establish completion (“By When”) dates for each project. (Get a Copy of the CEODentist Action Board). Make sure that all team members have a task and responsibility to the completion and implementation of the project. No one gets to sit on the sidelines. Also, the Dentist should not have projects on the Action Board. The Dentist makes decisions, offers encouragement & support to team members, and is a sounding-board to team-leaders regarding ideas and plans, but should invest most of their time producing revenues in the practice. Set aside a weekly meeting time where the entire staff can be present. DO NOT CANCEL THE MEETING OR SCHEDULE PATIENTS IN THAT TIME SLOT! Make sure that the team gets together. During these sessions, each Champion presents the status of their project, describes next steps, and makes any requests for additional support, suggestions and guidance. That’s how people are wired. We need a community. We need to know that what we’re doing matters so that we can feel good about going back out there to practice, practice, practice. To implement and study and do all the “un-fun” stuff that produces great results. Sometimes it helps to get support from the outside. At CEODentist, we commit to attend the scheduled team meetings by phone or in-person. We use the Action Board to lay-out plans for projects and we bring the board to all scheduled meetings. If I show up in a client’s office and they haven’t done what they were supposed to do, we discuss the breakdown and the appropriate to move forward. We build strong relationships with our clients and we don’t want to let each other down. It’s all about respect. When I leave after a consult, my clients are thinking, “Wes believes in us, he thinks we can do it and I don’t want to prove him wrong.” So they get to work. And with each new success, they start to believe in themselves a little more. This is the very same relationship that doctors should be developing with their patients. If your patient honors you enough to say, “Oh my gosh, Doc, I didn’t do what you told me to do at my last appointment,” that’s a very powerful influence you have with them. Take the opportunity to build the accountability and respect in the relationship. You don’t take a pound of flesh or embarrass the patient. You say, “I got it. What can I do to help you get it in place for the next time?” With proper encouragement and support, your patients will also get to a point where they don't want to let you down. Most people, when left to their own devices, don’t take action. They may hear a great idea in a seminar or on a DVD/CD and get inspired to grow their business, but when they get back into the office, the day-to-day operations and problem-solving take priority and they just don’t get the job done. If implementation is not your strength, call us! We’ll walk you through the process and help you grow your practice into the successful business it was meant to be. 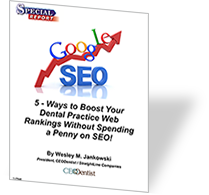 Learn 5-Key Strategies To Maximize Your Practice Success!